Shrimp, onions and bell peppers tossed together in white wine, garlic and red pepper flakes. Served over delicious angel hair pasta. Super quick! 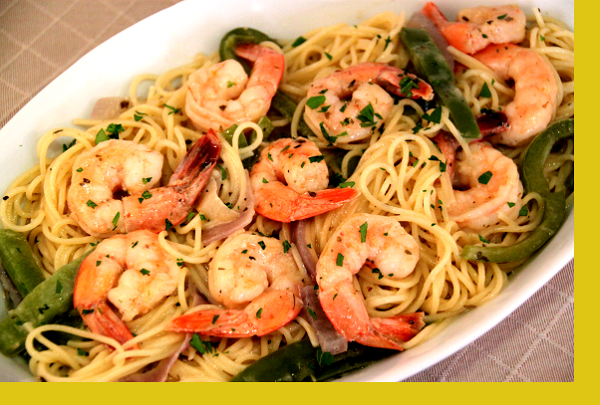 Bang out this gourmet shrimp scampi dinner in under 10 minutes without all the fuss. Delicious and easy to prepare. Great dinner. Thank you Maria. 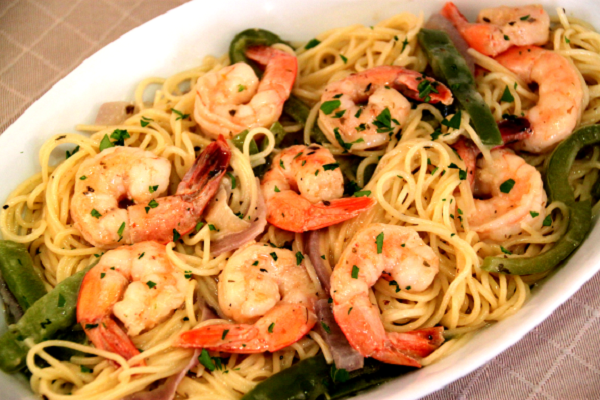 I loved this shrimp scampi! But my kids, not so much. The wine, onions, and bell pepper give it a bold taste. I'm giving it 5 stars, they can eat chicken nuggets next time. I'm getting this again. We loved the flavors in the shrimp scampi. My husband said, "I could eat this once a week"!.